Designed by Robert Moog in 1970, the Minimoog Model D synthesizer is still regarded as the Rolls Royce of analog keyboard-based synthesizers. Specifically designed for touring musicians, the Minimoog exported electronic music experiments from university labs out to the masses. 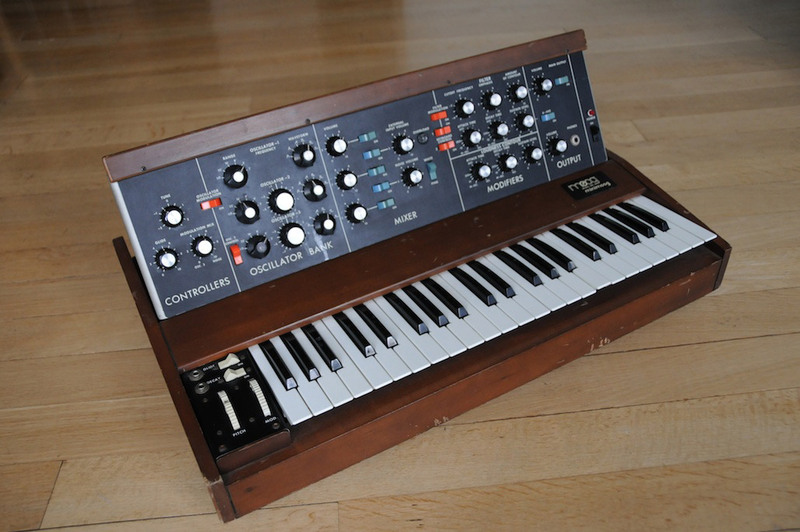 There were originally 13,000 Minimoogs produced between 1970 and 1981. After a brief hiatus during the digital-synth craze in the 1980s, the Minimoog has enjoyed a resurgence of interest among musicians since. The moog was compact, affordable, simplified and based on the megalithic modular Moog synths. Prior to the Minimoog, synthesizers were custom built to order, and required a great deal of technical knowledge to be able to wire up and create a sound. The Minimoog changed all that by hard-wiring the most basic but essential of components into a compact keyboard. Thus, the Minimoog was the first synthesizer to show up on the shelves of music stores around the world. Though its design impacted the industry in a way that set the stage for all the synthesizers that came after, the Minimoog is probably most famous for its excellent analog sound and arguably the best filters in a portable synth. It featured three oscillators (one of which can be used as an LFO) that could be individually tuned and offered multiple waveforms. It is monophonic so the three oscillators allow for an incredibly rich sound – three de-tuned oscillators each playing a different waveform can create some pretty thick analog sounds. There are also some very cool modulation possibilities when using one of the oscillators as an LFO. But you can’t talk about the Minimoog without mentioning its filters. It uses a 4-pole (24 dB/oct) low-pass filter with cutoff, resonance, ADS envelope, and keyboard tracking controls. Amazingly, Dr. Moog’s filter design has yet to be surpassed by a better sounding filter – one which sounds so warm and smooth that Moog’s rival, ARP, tried to copy it for their 2600 and Odyssey synths. The Minimoog’s internal wiring configuration and front panel layout has defined the general synthesizer configuration for decades. Every adjustable parameter is so clearly laid out on the front panel that the classic synth makes a great teaching tool for anyone interested in subtractive synthesis. It even has a built-in A-440 tone generator so you can manually tune the oscillators – which is nice since (like mosts analog synths that heat up) the tuning of even this machine can be a little bit unstable. Input jacks allow you to run your own external audio through the Minimoog’s filters, modulation and amplifier circuits too. Model-A Prototype – Built in 1969. Model-B Prototype – Built in 1970. Model-C Prototype – Built in 1970. Model-D – Built in 1971. A few more design tweaks (like adding some red rocker-switches and proper pitch-bend and mod wheels) and the Model-D was the Minimoog which sold to the public. There are three versions of the Model-D, with some very minor and mainly cosmetic variations to each. Fortunately they can be distinguished from their name-plates. 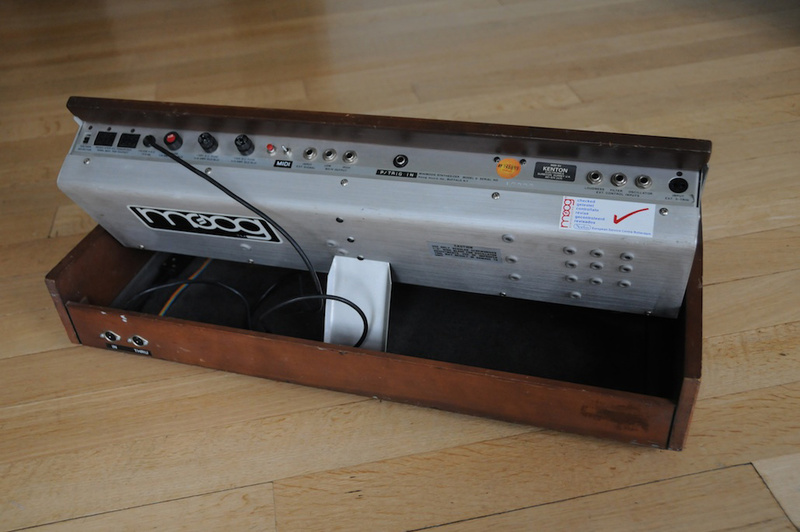 The very first batch of Minimoogs made in 1971 (a few dozen) were labelled ‘R.A. Moog’ (as in, Robert Arthur Moog). Then there was a very short period during 1972 in which Moog Music, which had just merged with the smaller muSonics company, saw the production of a scant handful of “Moog muSonics” Minimoogs. 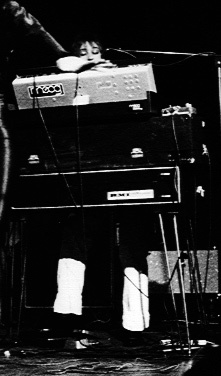 Then from 1972-1981 came the Moog Music, Inc. labelled Minimoogs which make up the majority of Minis that are out there. The Model-D Minimoog has been (unoficially) reissued several times during the late 1990′s by businesses that often failed, quite rapidly. Finally, it was successfully and faithfully reproduced by Moog Synthesizers in the UK, with MIDI and other updated features. But it wasn’t until 2002 that the first official new Minimoog designed by Dr. Robert Moog himself was released by Moog Music (once Big Briar) in the form of the ultimate Minimoog – the Minimoog Voyager.